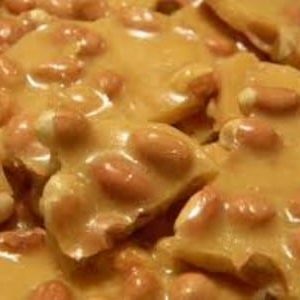 Similar to our Grizzlies except we use toasted almonds instead of cashews. Made with a caramel center that is coated with crushed cashews. Enrobed with your choice of chocolate. 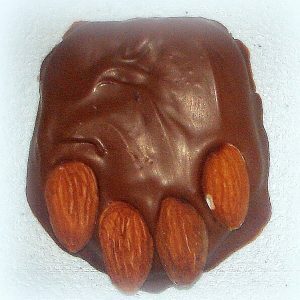 We use almonds for the claws. Shaped like a wolf print. Weight is 1.5 oz.